Okay, my friends and longtime readers know very well that I’m an Apple fanboy, but yesterday’s iOS 6 announcement at the Apple Worldwide Developers Conference (WWDC) has me all kindsa excited. So naturally, I want to tell you all about it. For me, the biggest improvement is Facebook integration. As with the iOS 5 integration with Twitter, iOS 6 will let you post things to Facebook directly from whatever you’re doing. If you’re browsing webpages on Safari, taking photos from the Camera app, looking at locations on Maps, etc. you can share it without having to cut-and-paste or any of that nonsense. Facebook integration also includes syncing data between your Contacts and the information that your friends post to their Facebook profiles. Birthdays, addresses, telephone numbers, etc. will sync automatically. Now, I’m cautious about this because I want to make sure that I can keep my own data if I wish — for example, if I have an email address or telephone number that’s different from what someone posts publicly on Facebook, I want to be able to keep it. We’ll just have to wait and see how the settings work. Even better, Facebook events (including birthdays) will sync over to your iPhone’s Calendar app. No more having to duplicate events in multiple sources to make sure you don’t miss something. As someone who uses Facebook events for social activities quite a bit, this is a big win for me. Another great improvement: FaceTime over cellular connections. 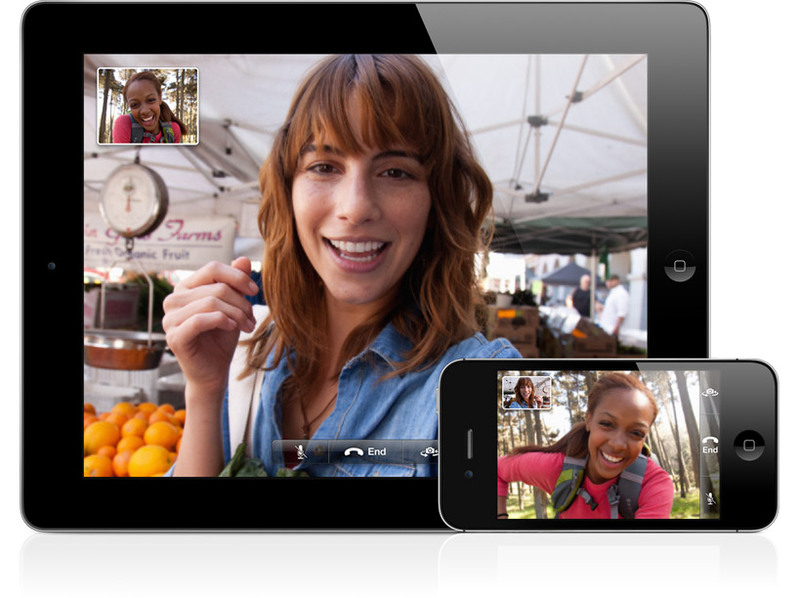 No more being forced to FaceTime over Wi-Fi — now you can do so anywhere with a signal. Now, I like FaceTime, and hopefully this will help push adoption among my friends who use iPhones and/or iPads (you can FaceTime from your iPad using your phone number!) but I do caution people to be mindful of data charges. (I’m grandfathered in on an unlimited data plan, so no worries for me!) Also, please don’t be that douche who FaceTimes at Starbucks. K thanks. This better be a QUICK conversation — the whole grocery store certainly doesn’t need to hear you catch up on last week’s American Idol, etc. 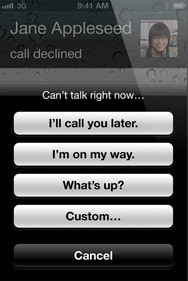 There is some great new functionality within the Phone itself. 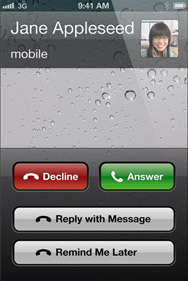 When you get a phone call that you can’t take immediately, you can choose to reply with a Message (txt msg or iMessage) or even set a reminder to call them back later. As someone who frequently doesn’t answer a phone call right away, this is going to be a very convenient way of me making sure I don’t lose track of the calls I’ve missed. 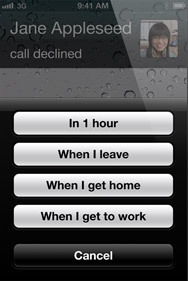 Reminders can even be location specific, such as when you leave where you are or when you arrive at home or work. 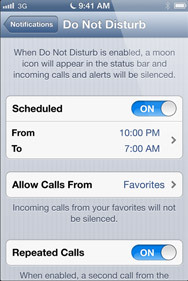 There’s also a new “Do Not Disturb” function, such as when you’re in an important meeting or when you’re trying to get some sleep. No more turning your phone on Airplane Mode or manually turning the vibration off on your “Silent” mode… Quick, easy way of stopping incoming calls and notifications from bothering you. Plus, you can set some exceptions to ensure that VIPs can get through to you, or allow repeated calls to get through in case there’s an emergency. 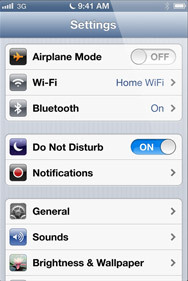 More effective than Airplane Mode, quicker than turning the vibration off on your Silent mode. Schedule DND times, like overnight or during work hours. 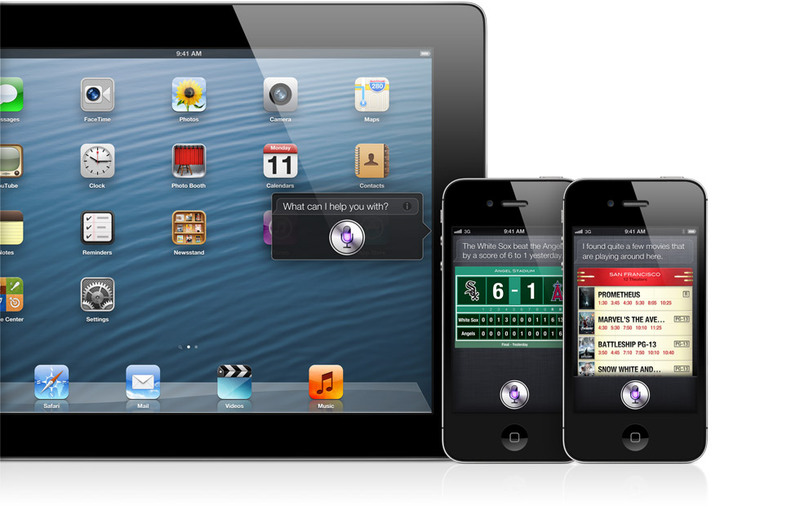 Siri gets an upgrade also, now supporting voice-activated apps, sports scores or stats, movie reviews and showtimes, restaurant reviews and reservations, and so on. The list goes on and on. Check out the iOS 6 preview page for lots of details and photos, beyond the ones I’ve captured above. It looks like it’s going to be another step towards full integration of all of your devices together, in some ways is poised to change the way we use technology in our lives. Again. Bravo, Apple. The countdown to the scheduled Fall release starts now! This entry was posted on Tuesday, June 12th, 2012 at 9:02 am and is filed under Uncategorized. You can follow any responses to this entry through the RSS 2.0 feed. You can skip to the end and leave a response. Pinging is currently not allowed.